Are you one of those people who gets really into the Olympics every time they’re on? Rooting for your country from the couch in sports you didn’t know were real sports? Or you know, you could be a genuine sports fan? Well, either way, to help get you in the mood and rally some support for the Rio 2016 Olympics the famous torch has got its own Twitter account. 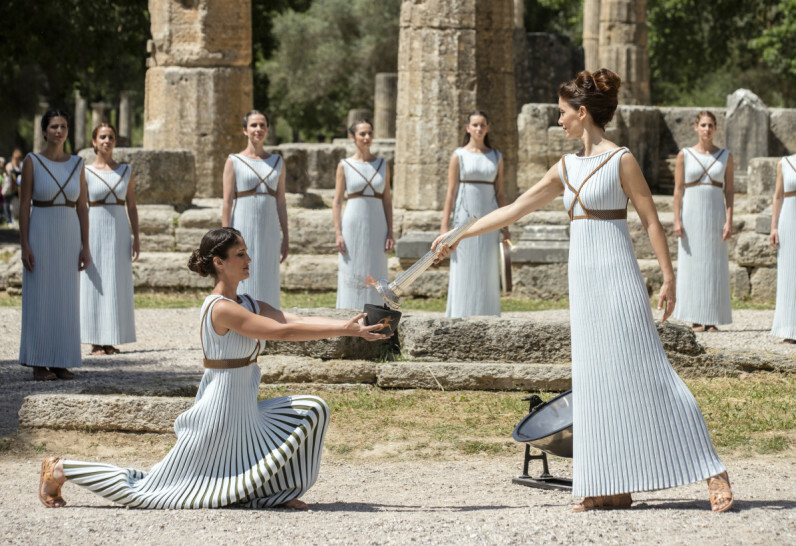 So now you can follow the Olympic Flame on its 5-week trip around the globe, which kicked off in the birthplace of the games in Ancient Olympia in Greece today. The 450 specially selected torchbearers will pass the flame on its 2,200km journey across Greece for the next six days before it’s handed over to Brazilian officials in Athens. The torch will officially kick off the Olympics then in Rio de Janeiro when it lights the cauldron at the Maracanã Olympic Stadium. In total there will be 10,000 torchbearers carrying the flame over 12,000 miles from Greece to Brazil. So, if you’re interested in following along and perhaps learning about the Olympic Flame’s apparent fireproof keyboard then give @OlympicFlame a follow and get prepped for the opening ceremony on August 5.